Details about ☀️ NEW 10 Lot of 100% LEGO Minifigures Mixed Ninjago Star Wars City & much more! ☀️ NEW 10 Lot of 100% LEGO Minifigures Mixed Ninjago Star Wars City & much more! 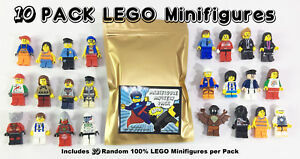 LEGO Theme: Minifigure Character Family: Star Wars Ninjago City and more! Immediate payment of US $19.48 is required.